Click here for important information regarding the visitation procedures. Click here for important information regarding registration. Lawton Chiles High School is building a tradition of excellence by providing the best learning environment where students are challenged to be active learners, leaders, achievers and contributors within a global community. Over the next three years, we will strive to maintain an A status in the state accountability system. Chiles High School consists of teachers, faculty, staff, students and the community who have a shared vision for student achievement. We recognize the faculty and staff members that contribute to our success from the following feeder schools: DeSoto Trail, Gilchrist, Hawks Rise, Killearn Lakes, and Roberts Elementary Schools as well as Deerlake and Montford Middle Schools. We collaborate frequently through the Northeast Articulation Team to foster transitions and build relationships among our school communities. We have developed alternative academic programs to support our lowest achieving students and increase the graduation rate of our students at-risk. We promote and encourage Advanced Placement and Duel Enrollment participation from our general student and underrepresented populations of students. 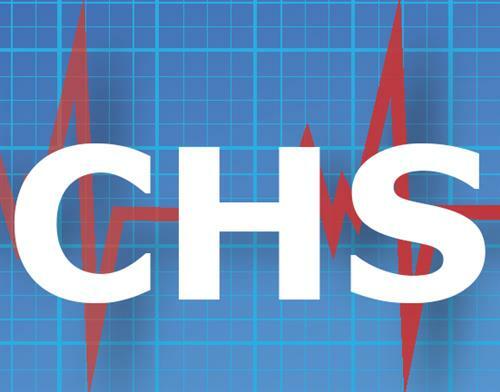 Chiles is a part of the Tallahassee Chamber and offers Business and Technology Certifications to students who wish to pursue a vocational education. Technology is readily available to students and is incorporated into curriculum and instruction regularly. We aim to prepare all students for postsecondary education by providing college and career opportunities through expos and partnerships with FAMU, FSU, TCC, and Lively. Parental and community involvement is possible through organizations such as PTSO, SAC, SGA, and DAC. The Chiles faculty, staff and students benefit from the relationships and connections built each year. New Course Offered at Chiles! Are you planning a career in healthcare as a nurse, physician, surgeon, therapist or pharmacist? This new program is the first step as as healthcare professional. Please click HERE for further information. 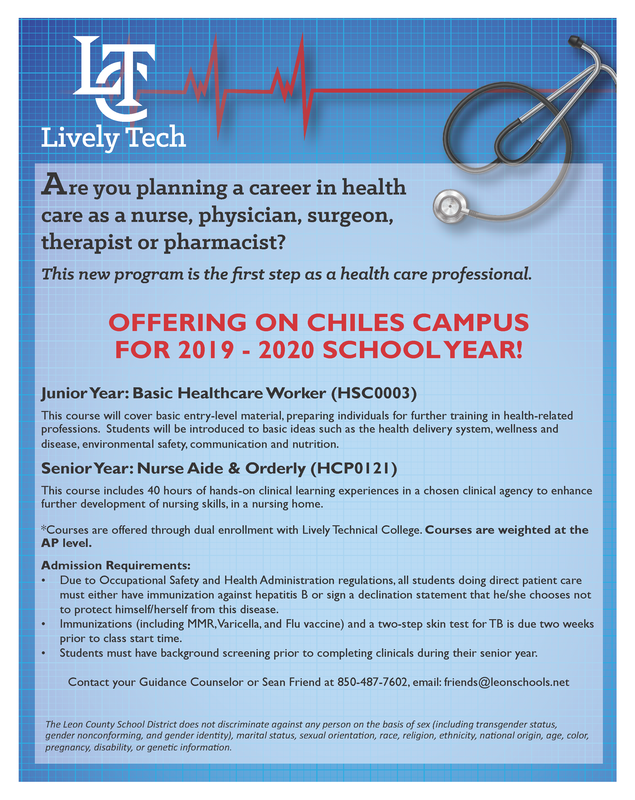 If you are interested in the medical field, Lively is offering summer Phlebotomy and CNA Programs. Please click on the respective links for further information. You can check your student’s grades and attendance directly from your smart phone! Click here for the 2018-2019 Parking Application. Clike here for the 2018-2019 Off Campus Lunch Pass. Visit the Chiles WeatherSTEM page for more information from our weather station.